Here’s the thing about buying Super Bowl tickets: You can get them for a relatively decent price — even through a broker — if you buy them early enough, before anyone knows which teams will even be making the playoffs, let alone playing in the big game. But you stand the chance of those tickets mysteriously vanishing when a ticket broker realizes he can get a lot more for them from last-minute buyers. 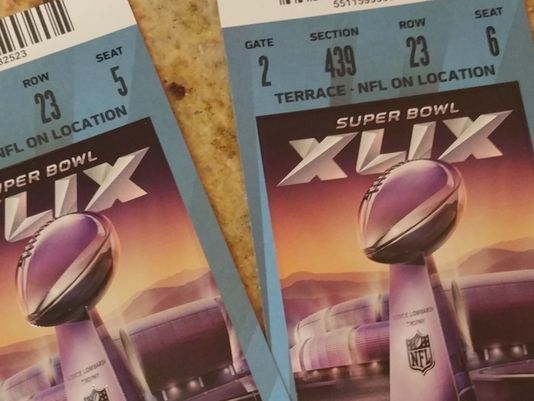 We’re not saying that’s what happened to Consumerist alumnus Phil Villareal when his Super Bowl tickets — purchased way back in November — were suddenly unobtainable, but the story being told by the broker raises some questions. Phil, who told his story to 12 News, bought his Super Bowl tickets many months back through UberSeat, a legitimate broker that promises full refunds if things fall through. There were no signs of trouble until last Saturday, the day before the game, when the broker texted Phil to tell him the bad news. By Saturday, the cheapest single ticket going on StubHub was $11,505. Phil had paid around $4,000 for two tickets. Thus, in theory at least, someone could refund him the money (plus a little extra) and still make a huge profit selling them to a deep-pocketed latecomer. When Phil’s broker wouldn’t answer his calls, texts, or e-mails, Phil contacted 12 News, which was able to track the broker down. UberSeat apparently wouldn’t address Phil’s specific case, but did admit there was a problem this year with ticket brokers overselling tickets. “Our costs to ensure that all UberSeat customers got into the game was in the order of tens of thousands of dollars, but that was worth it to ensure that their once-in-a-lifetime experiences were preserved,” a company rep told 12 News. Miraculously, after the station got involved in the situation, UberSeat was able to find two tickets for Phil so that he could attend the big game. He was the lucky one, as there are multiple reports of other fans whose tickets vanished into the ether in the days leading up to the game. Our advice for people looking to buy Super Bowl tickets next year: Try Costco. The warehouse store sells packages for the game that include hotel rooms and other bonuses at a better price than you’re likely to get from a broker.